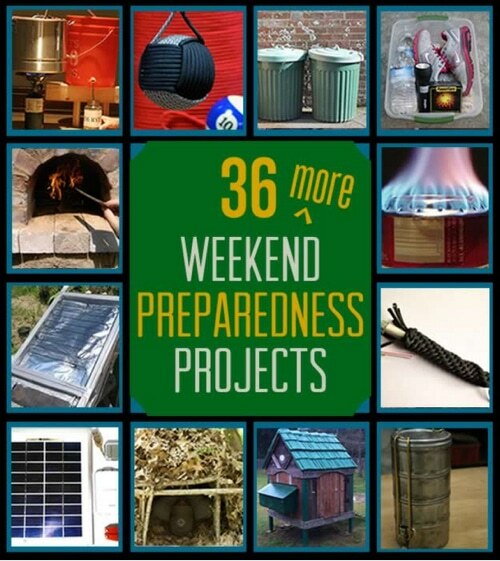 If you loved our post on 36 Weekend Preparedness Projects, then you’ll appreciate this one too because it’s an additional list of essential projects to help you reach your level of preparedness. Even if you are not completely into the prepper movement, you will find some practical and useful tips here. For example, homemade survival bars can keep you nourished in the event of an extended power outage. Learn to make a cell phone trip wire alarm system or handy paracord knots and hitches. It’s little tips like these that will help save you and your family in the event of a bigger disaster.